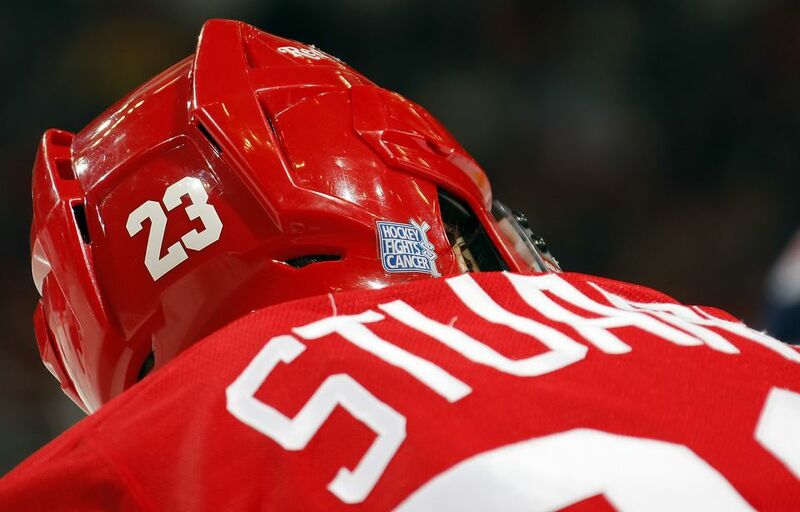 Certain names come to mind when thinking of the Detroit Red Wings—Gordie Howe, Steve Yzerman—but there are many more superstars of ice hockey who helped the team win the Stanley Cup 11 times. Across the decades, starting in the 1930s when the team joined the National Hockey League (NHL) to 2008, the last time the Red Wings won the hefty trophy, there are many outstanding players deserving recognition for their crucial contributions to Stanley Cup victories. The team's name changed for the 1932–33 season from the Detroit Falcons to the Detroit Red Wings, and it only took a couple of seasons for the Red Wings to achieve Stanley Cup success. The acquisition of Marty Barry in 1935 didn't hurt, nor did a team with superb athletes like Herbie Lewis, Larry Aurie, Syd Howe, defenseman Ebbie Goodfellow, and goalie Normie Smith. The Red Wings were the first NHL team to win the Stanley Cup in consecutive years. Marty Barry continued to be a key player in the 1936–37 season. Other notable players included Larry Aurie, Herbie Lewis, Syd Howe, and goalie Normie Smith. Key players included Carl Liscombe, Joe Carveth, Sid Abel, Syd Howe, goal-leader Modere "Mud" Bruneteau, and goalie Johnny Mowers. At the beginning of a legendary run, the Stanley Cup win of the 1949–50 season would be the first of four for the Red Wings in the 1950s. The players racking up the score even merited their own moniker: the Production Line, an homage to the Motor City. For the 1949–50 season, the Production Line included players Gordie Howe, Ted Lindsay and Sid Abel. Red Kelly and Goalie Terry Sawchuk were also critical to the Stanley Cup success. Undefeated during the playoffs, the Red Wings' Production Line continued to get it done with powerhouse players Gordie Howe, Ted Lindsay, and Alex Delvecchio. Other notable players included Metro Prystai, Red Kelly, and Goalie Terry Sawchuk. Jack Adams was still the coach. The Red Wings and their now infamous Production Line again proved victorious with Gordie Howe, Alex Delvecchio, and Ted Lindsay. Tony Leswick scored the winning goal that earned the Red Wings the Stanley Cup in 1954. The Production Line in the 1954–55 season included Gordie Howe, Alex Delvecchio, and Ted Lindsay. Again, Red Kelly and goalie Terry Sawchuk were instrumental. The success of the 1996–97 season was the result of a talent build up over several years. Key players included Captain Steve Yzerman, Nicklas Lidstrom, Vladimir Konstantinov (later seriously injured in a limo accident), Sergei Fedorov, Brendan Shanahan, Igor Larionov, Larry Murphy, Darren McCarty and goalies Mike Vernon and Chris Osgood. Plus, the Red Wings scored Scotty Bowman as coach. The important players in the 1997–98 season were once again Steve Yzerman, Nicklas Lidstrom, Larry Murphy, Brendan Shanahan, and Goalie Chris Osgood. Vyacheslav Kozlov also proved valuable, as did Martin LaPointe, who scored the goal that secured the cup. Clutch players during the season and playoffs included Brendan Shanahan, Steve Yzerman, Nicklas Lidstrom, Brett Hull, Sergei Fedorov, and goalie Dominic Hasek. The 2007–2008 Detroit Red Wings season was the franchise's 76th season as the Red Wings and its 82nd year in the National Hockey League (NHL). The team won its 11th Central Division title, its sixth Presidents' Trophy, and a fifth Clarence S. Campbell Bowl, Most importantly, the Red Wings won the Stanley Cup thanks to experienced veterans Nicklas Lidstrom and goalie Chris Osgood, and key players like Pavel Datsyuk, Henrik Zetterberg, and goalie Dominik Hasek. What Is the Detroit Tigers' World Series Record? How are "Gran Torino" and the Hmong Community of Detroit Connected?